OBe ready to provide your medical history, which will be essential for preparing a course of treatment for you. Medical records, such as diagnostic test results, or imaging results, such as X-rays and MRIs, also will provide important information about your condition. Certain things in your health history are particularly vital to a chiropractor. 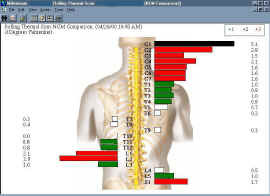 This information could provide important clues that will allow your chiropractor to properly diagnose your problem. • Did the onset of your pain immediately follow an injury? • Is there anything you do that improves or worsens the pain? • When and how did your pain start? • Where is the pain centered? 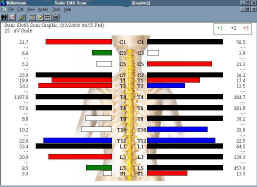 Your examination will also include a computerized examination called the "Insight Millennium Subluxation Examination." This examination involves several important components. The first part of this examination process involves reading spinal heat differences from one level of the spine to another, as well as from one side of the spine to the other. Heat is a by-product of circulation, which is controlled by the autonomic nervous system. From this we can see how subluxation may be affecting these functions of your nervous system. In the second part of this examination the Insight Millennium Subluxation Examination scans the surface of your spinal area for surface electrical impulses, and measures them along your spine. This helps measure the affect of subluxation on the motor nerve system and the affect subluxations may be having on your muscles. just depending on "how you feel" on any given day. 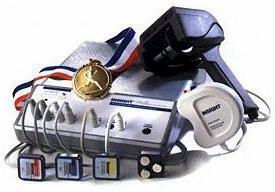 The first order of business is checking your vital signs, reflexes and blood pressure. Sometimes measurements will be taken to determine the arm and leg length. Next you will be asked to do a series of simple and easy activities or exercises. These exercises will provide information about your motor skills, balance, and gait, among others. These tests also help determine your range of motion, muscle tone and strength, and integrity of your nervous system. Any abnormalities could provide clues about a condition. • Bend forward, sideways, or backwards-misaligned spinal vertebrae can sometimes be detected during this exercise. • Lie down and raise one leg- the chiropractor gently pushes on your raised leg to check for hip joint mobility. • Stand and raise one leg- this test can sometimes show whether you have a sciatica, a nerve disorder in you lower back. Another test may involve pushing on your raised leg to determine whether you have pain, inflammation or imbalance in the joints between your spinal vertebrae. • Stand and sit- posture can sometimes show whether you have a misalignments in your spine. • Walk a straight line- This test measures your gait, and helps to determine if you have a normal walking pattern. • Walk in place- Abnormalities in the way your pelvis and spine coordinate can be seen during the test. Next, a short physical exam by the chiropractor will involve palpation, or use of the hands to explore the alignment of your spine and other structures, as well as provide information on any stimuli that may cause pain. Depending on your condition, a series of diagnostic tests may follow. These tests may include MRIs, CT scans, X-rays, blood work, and other laboratory tests. Here at Back Into Motion Chiropractic we have invested in some of the latest technology with the installation of state-of-the-art digital x-ray processing equipment using Fuji FCR package, which allows us to take very fast, efficient and high quality digital X-rays within seconds. Complete x-ray studies allow for a more detailed analysis of your spinal column. Chiropractors are specifically trained in the identification of spinal misalignments and determining bone alignment from x-rays. This information is used in conjunction with the history you provide and the clinical examination findings to help us arrive at a diagnosis.